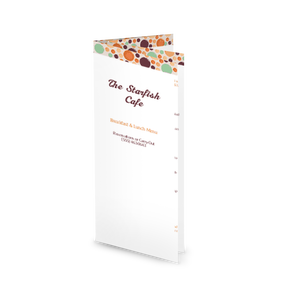 A Brunch Menu in A4 size with a wide border of colorful glass beads in summer shades. 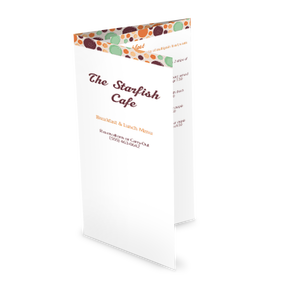 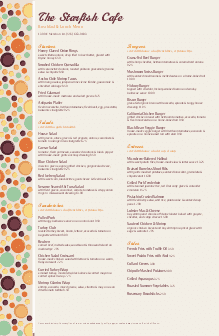 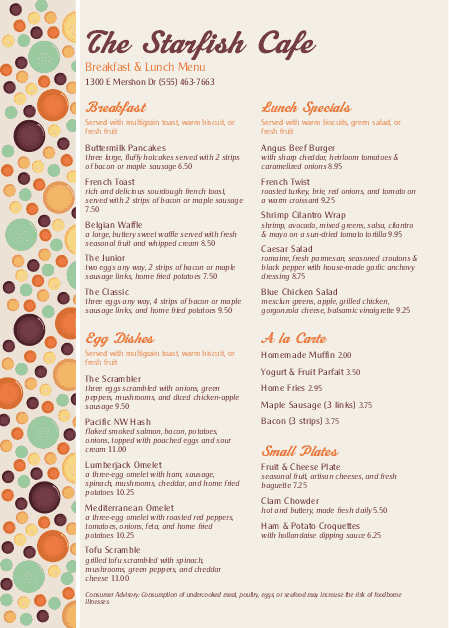 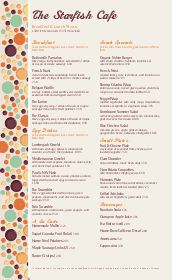 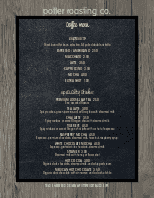 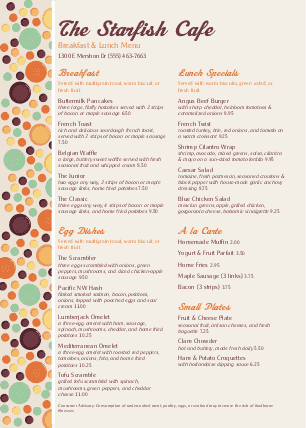 The single-column cafe menu echoes the border with purple and orange text in playful, friendly fonts. 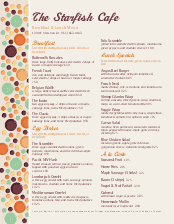 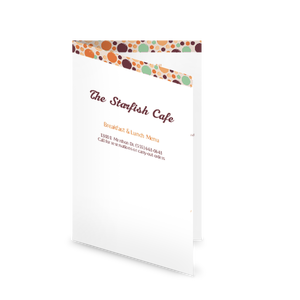 Customize your Brunch cafe menu using the online Menu Editor.